Several thousand people rallied Sunday in Moscow to protest the ethnic clashes that have rocked Russia, holding posters reading "Fascists disgrace Russia" and chanting "No to Fascism!" The rally in downtown Moscow was organized by civil groups in response to the Dec. 11 riots when thousands of Slavic nationalists and sports fans poured into the streets chanting "Russia for Russians!" The rioters clashed with police and beat members of ethnic groups from the Caucasus region. The violence just outside the Kremlin raised doubts about the government's ability to stem a rising tide of xenophobia. Police arrested hundreds to prevent more clashes in the following days in Moscow and St. Petersburg. 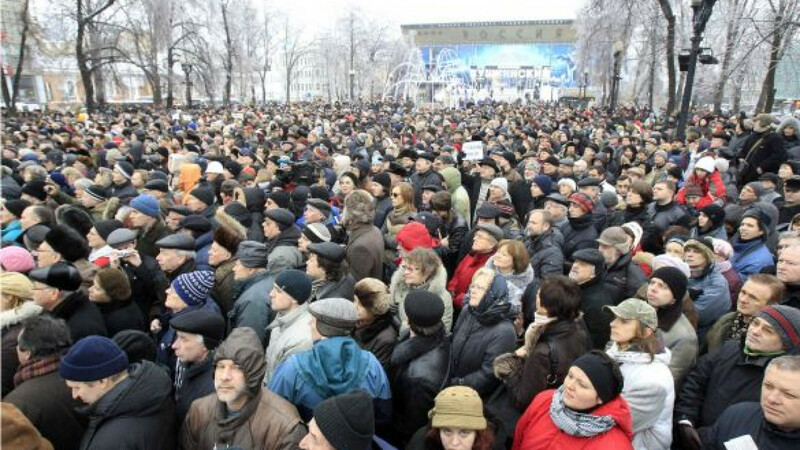 "In Russia, each and every town or village is multi-ethnic, and any flare-up of nationalism in Russia will destroy the country," opposition leader Vladimir Ryzhkov told the rally. Prominent human rights activist Lev Ponomaryov told The Associated Press it is important for authorities to recognize that nationalism does exist in Russia. "We should put it straight: yes, there is Russian nationalism, it is a problem facing society and we should handle it," he said. Russian President Dmitry Medvedev on Friday criticized the police for acting too slowly to disperse the ethnic riots. While ethnic Russians make up four-fifths of Russia's population of 142 million, the country is also home to 180 ethnic groups. The Caucasus region, with its mountainous terrain and isolated valleys, hosts at least 100 ethnicities including Chechens, who have waged two separatist wars against Moscow after the 1991 collapse of the Soviet Union. Analysts say the Chechen conflict, with atrocities and civilian slayings committed by both Russian forces and militant Islamists, has triggered the rise of xenophobia and neo-Nazism in Russia as well as growing resentment by Caucasus natives to ethnic Russians and Moscow's rule. One militant leader and seven suspected militants were killed Sunday in a shoot-out with police in Makhachkala, a city in Russia's volatile North Caucasus. The province where the city is located, Dagestan, faces near-daily violence between police and Islamic insurgents inspired by the separatists in neighboring Chechnya.